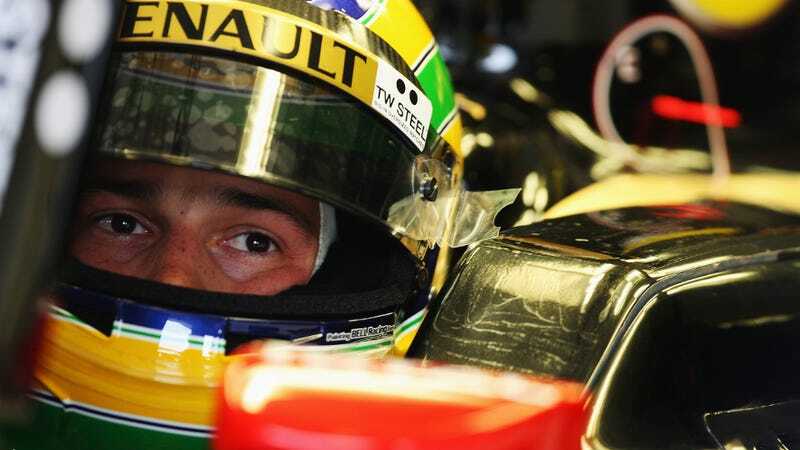 Confirming widespread reprorts, Lotus Renault said today that Bruno Senna, nephew of racing great Ayrton Senna, would run the Belgian Grand Prix this weekend, bumping Nick Heidfeld. This can't be just another marketing ploy by Lotus, right? There's some poignancy in having a Senna race a car with the Lotus name — even if the name is only advertising for an all-French car underneath. Renault hasn't explained its decision; Heidfeld had a podium finish this year and had more points than teammate Vitaly Petrov after taking over for the injured Robert Kubica, but had struggled in qualifying. It's not even certain Bruno Senna, who drove for the back-field HRT team in 2010, will race much beyond this weekend's event. Whatever the reason for the choice, Senna will have to race like he's got something to prove this weekend.